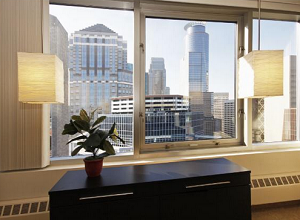 City Heights Condominiums is a 24 floor development built in the Central Business District in Minneapolis. 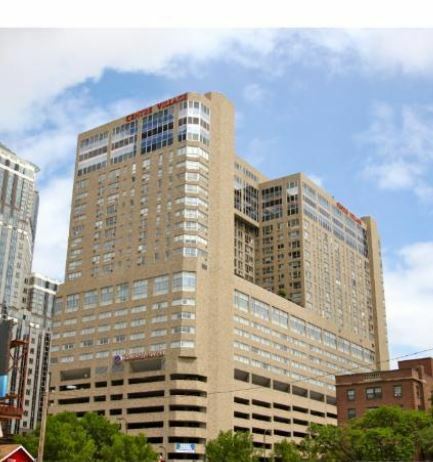 Renovated in 2004, this 84-unit, multi-use building has updated interiors and is Skyway connected, giving residents direct access to major office buildings in the city center. While the units are less spacious than others in the area, the busy streets of Downtown West offer everything you can possibly need within a few block radius. City Heights Condos are also connected to the Centre Village Condominiums, meaning residents also have access to its wonderful shared amenities including an outdoor pool, and rooftop patio. If you're a working professional, looking for a centrally located residence close to Downtown Minneapolis, City Heights Condos offer affordable convenience. Scroll down to see all City Heights Condos for sale in Downtown West or learn more about the building features and neighborhood amenities in this Minneapolis condo complex. Finding a home in Downtown West is easier than you think. 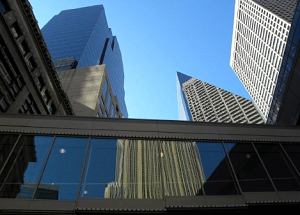 Contact us and we’ll connect you with the best Minneapolis Real Estate in the Central Business District. City Heights Condos offers urban living in a great location, for a homebuyer on a budget. Units are studio style, and range from 405 to 710 sq. ft. What these residences lack in size however, they more than make up for in amenities which include a rooftop patio, workout room, and great city views. One of few Skyway connected buildings in the area aside from The Crossings, Six Quebec & and the The IVY, City Heights Condos provide easy access to downtown businesses. As an added bonus, residents can also take advantage of the shared amenities in the adjacent Centre Village. 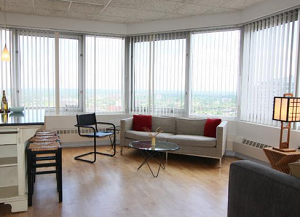 When you live at City Heights Condos, Minneapolis, the entire downtown core is at your fingertips. The lively Downtown West neighborhood is filled with restaurants, coffee shops, businesses, and shopping, are all within a quick stroll down the street. With a high Walk Score, this is a great option for car-free living. Most errands can be accomplished on foot, and a wide range of available public transit makes commuting within the city, a breeze. Parks: Gold Medal Park, Mill Ruins Park, Franklin Steele Park, Minneapolis Sculpture Garden, Loring Park, Peavey Field. Restaurants: Mona Restaurant & Bar, Normandy Kitchen, Lou Ann's Restaurant, Dan Kelly's Bar & Grill, Rare Steak & Sushi, La Loma Tamales-North Star, Bamboo Garden, Andrea Pizza, Park Cafe. Shopping: Nicollet Mall, Saks Fifth Ave OFF 5th, Macy's, Gaviidae Common, Marshalls, Target, Walgreens Store, Barnes & Noble Booksellers. Schools: Fair School (Public, K-12), New Horizon Academy (Public, K-12), Bernie's Montessori School (Private, PK). Cedar Riverside Community School (Charter, K-9). Do you own a condo in the City Heights and happen to be thinking about selling? Let me assess your condos value and get you a price quote. Fill out my condo sellers form and our team of Minneapolis condo experts at Downtown Resource Group will get back to you with more information on the recent sales activity in your building as well as provide you a marketing plan and general market assessment.